Music: New music is beginning to appear with more regularity on concert programs these days, and a case in point is this afternoon’s presentation by The Symphonia of Boca Raton. Composer Bruce Adolphe, best-known as the creator of the Piano Puzzler riddles on NPR’s Performance Today, wrote a violin concerto in 2014 inspired by the life of Rabbi Joachim Prinz, a German who spoke out against Nazism before emigrating to the U.S. and becoming a civil-rights activist. The two-movement concerto, titled I Will Not Remain Silent, is a passionate, colorful work with an athletic violin part and an interesting mix of styles including American swing. 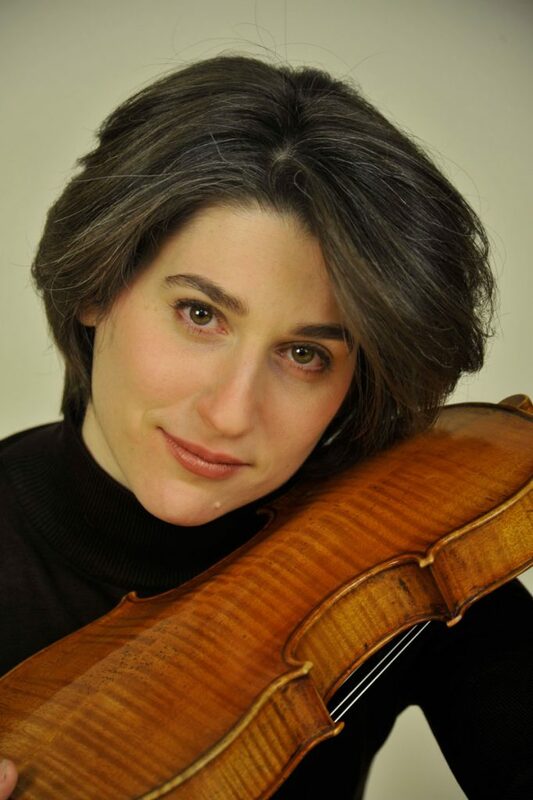 Violinist Sharon Roffman and conductor Michael Stern, who gave the work its premiere in 2015, will give the concerto its Florida premiere today, and judging by the rehearsal Saturday morning, soloist, orchestra and conductor are giving the piece a committed performance that will be well worth your while. The 3 p.m. concert at St. Andrew’s School in west Boca Raton also includes the familiar Adagietto from Mahler’s Fifth Symphony and the Eroica Symphony (No. 3 in E-flat, Op. 55) of Beethoven. For more information, visit www.thesymphonia.org or call 376-3848. Sgt. Michael Joseph Leonard Politowicz, by George W. Bush. Art: It’s no secret that in the Trump era the legacy of the presidents who preceded him are getting closer scrutiny, in particular that of the 43rd commander in chief, George W. Bush. 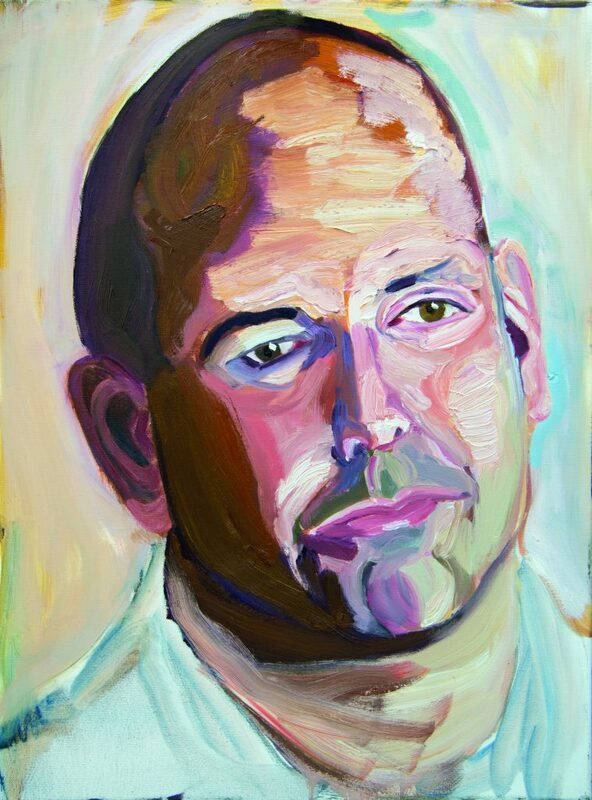 Since repairing to his Midland, Texas, ranch after eight years in office, Bush has pursued an artistic sideline, becoming a painter of portraits; specifically, images of members of the American military who have served since the Sept. 11 attacks. Portraits of Courage, which opened Saturday at the Society of the Four Arts in Palm Beach and runs through March 31, presents 66 paintings by Bush as well as a mural, and includes stories of each of the military personnel he’s painted. The paintings have a rough authenticity and attractiveness, and it stands as a unique tribute to our men and women in uniform. Admission is $10; call 655-7226 or visit www.fourarts.org. 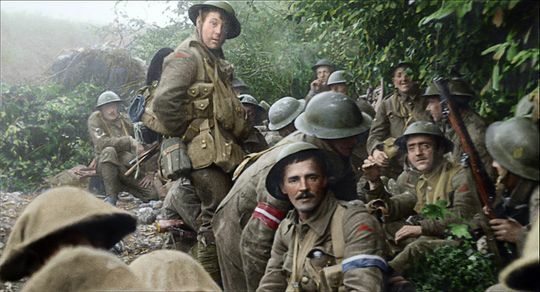 A scene from They Shall Not Grow Old. Film: Remember World War I, the so-called “war to end all wars”? Probably not, but if you are willing to immerse yourself in its horrors, you have to see They Shall Not Grow Old, a digitally enhanced compilation of actual archival footage of the war as seen from the perspective of British soldiers. The film has been pain-stakingly assembled by director Peter Jackson (Lord of the Rings) and dedicated to his grandfather, who fought in the war and somehow survived it. The title, of course, refers to the fact that so many young men did not return home alive, done in my mortar shells, mustard gas, bayonets and mere bullets. Much of the footage is colorized and converted to 3-D, lending the account an eerily contemporary feel. At area theaters. Kelly Pekar and Hannah Benitez in Indecent. Theater: Did you miss Palm Beach Dramaworks’ production of Paula Vogel’s Tony Award-nominated Indecent, a history of the controversial play God of Vengeance, which was produced on Broadway in 1923, but shut down on charges of obscenity? Well, opportunity is knocking twice, for Coral Gables’ GableStage, which was originally planning to co-produce the play with Dramaworks, has instead mounted its own, distinctly different production. Artistic director Joseph Adler stages the work and the advance word is that the female love scenes are pretty steamy. Continuing through Feb. 24.